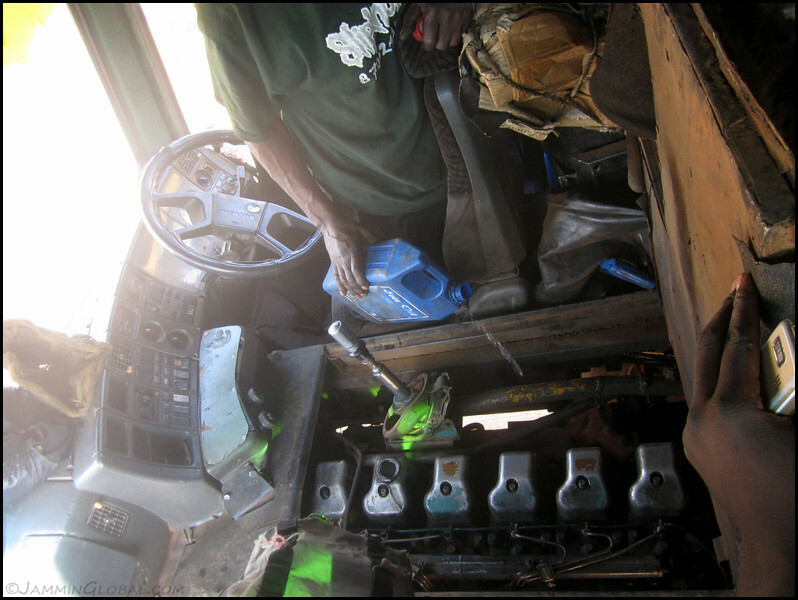 I received the parts that I thought would fix sanDRina’s issues and boarded the bus back to Tanzania with some trepidation, wondering what I would do if these parts also didn’t fix the issue. Well, replacing the generator and all sorts of electrical components did not fix the issue but in the end, I did find the gremlin who was causing all the issues. The repeated failures were sapping away at my morale and I was at a real low moment, ready to give up; having no more energy to throw solutions at the bike. But, perseverance is my middle name and I stuck through it and triumphed; solving the issue once and for all. 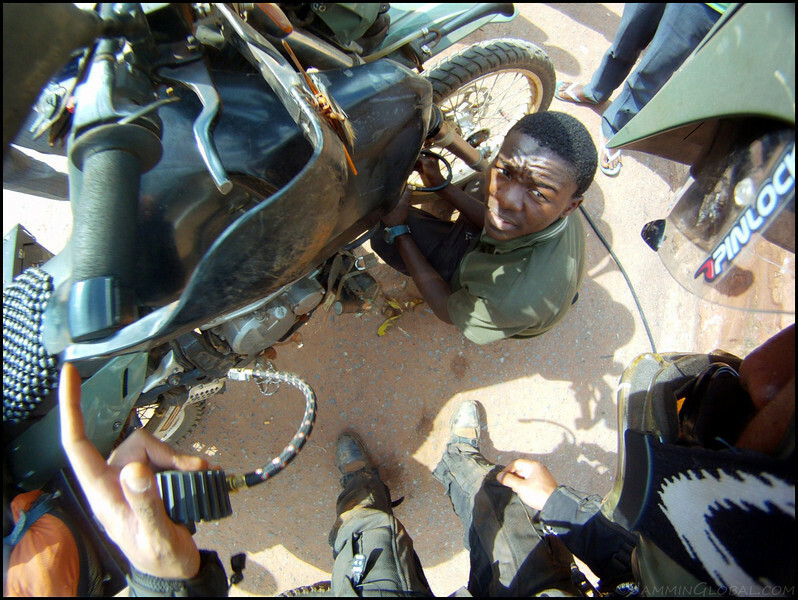 Elated at overcoming this major hurdle, I found a new energy to get back on the road and ride Africa. 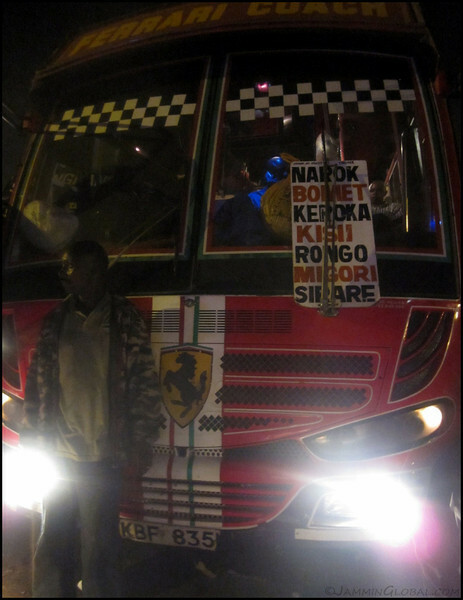 Boarding the Ferrari bus in Nairobi that was heading for the border town of Sirare. 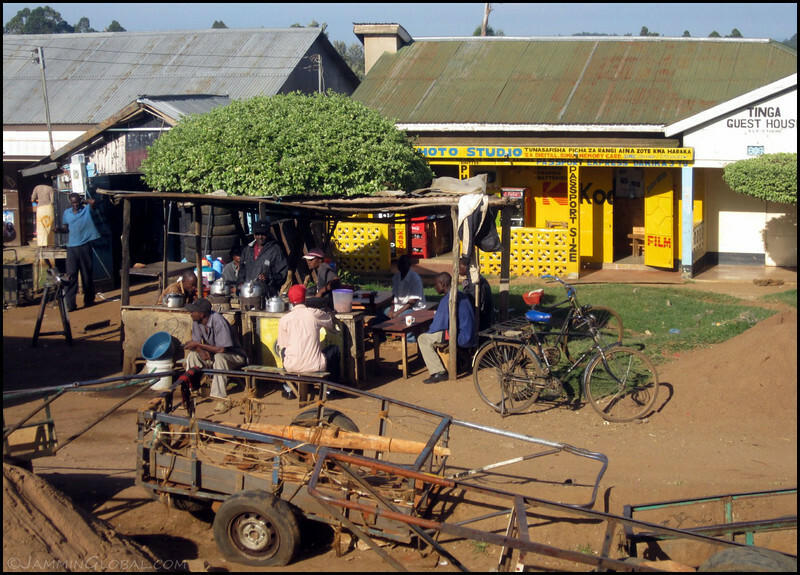 It would take me three long buses to get back to sanDRina in Kibondo. This bus company only borrowed the name and livery of Ferrari but sadly not their speed or performance. Poor thing couldn’t make it uphill without swerving left and right to gain tiny bits of momentum. 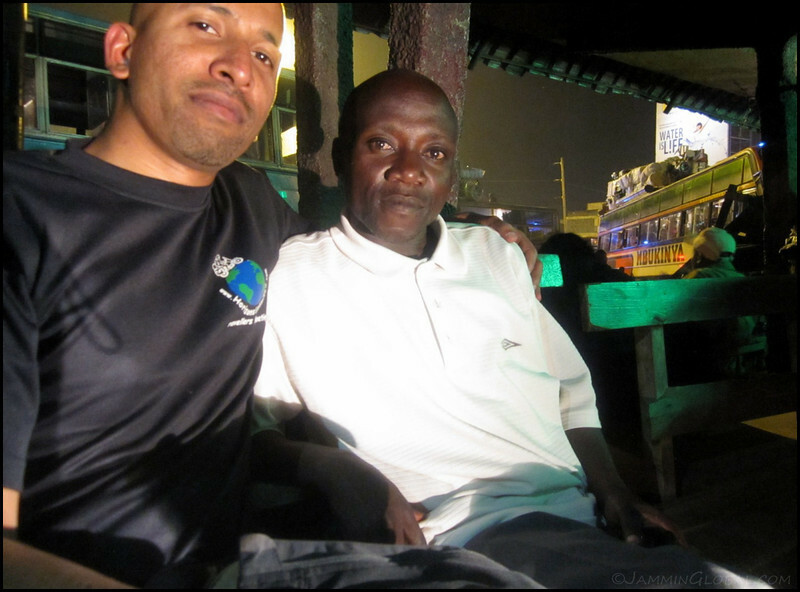 I was having a chai and chapati dinner before boarding my bus and struck up a conversation with Moses, here, a bus driver for another company. He was trying to convince me to buy a bus and start a transport company with him. I gave him my Kenyan number and told him to get in touch. 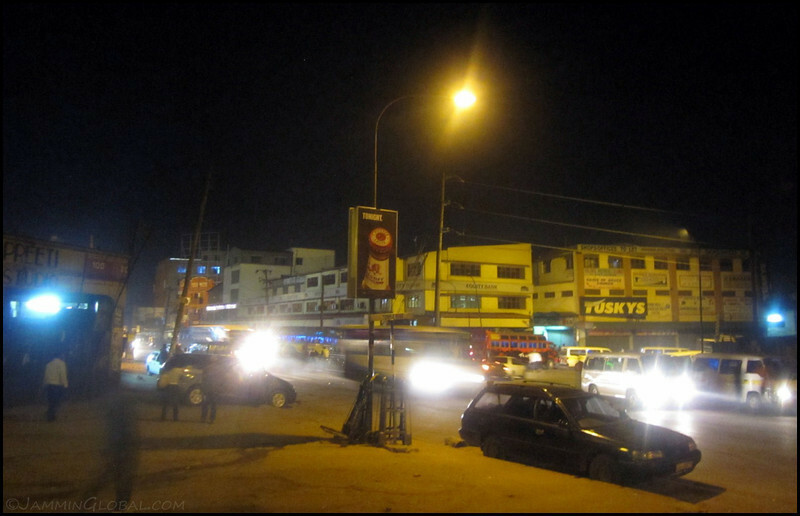 I crossed into Tanzania at dawn and once again noted how different a border crossing was without having to clear a vehicle. 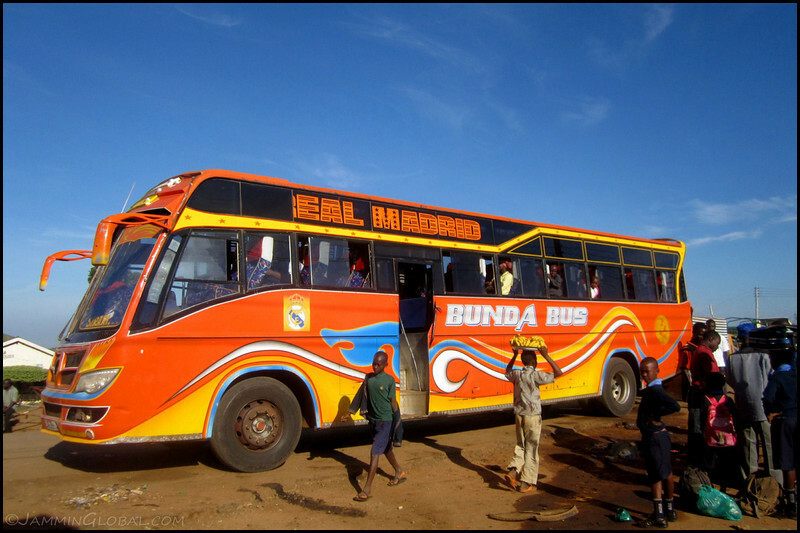 This next bus on my journey, the Bunda Bus with a Real Madrid livery, would take me to Mwanza on Lake Victoria. 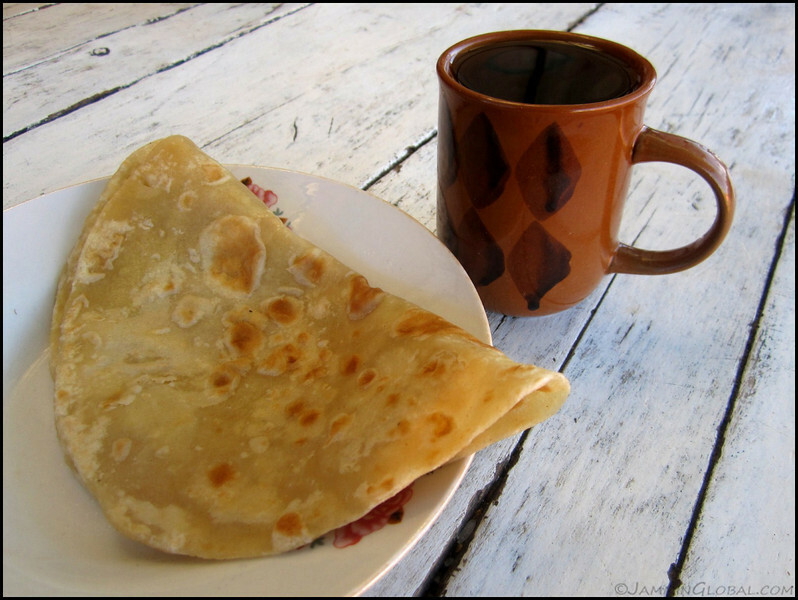 …chapati and chai. The chapati is made fresh right there and it tastes delicious when it’s hot. 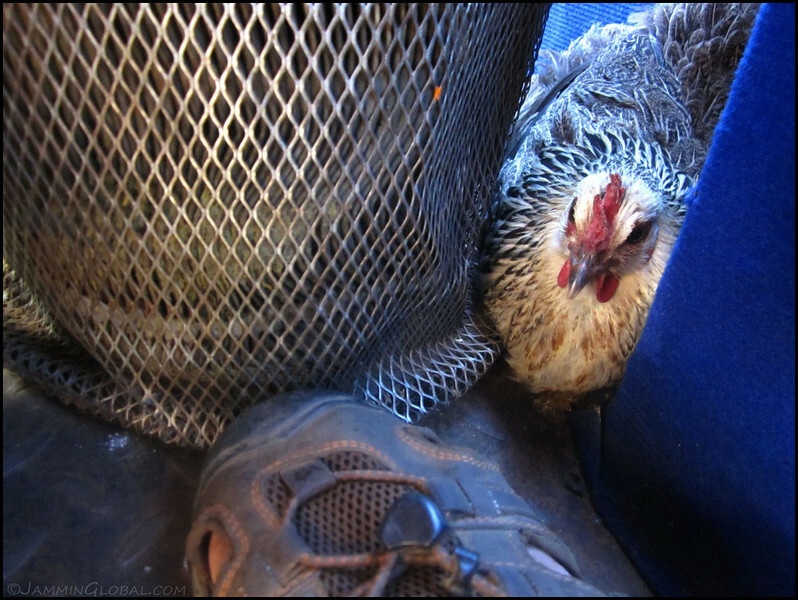 The Bunda wasn’t really a chicken bus, but there was a chicken behind the driver. 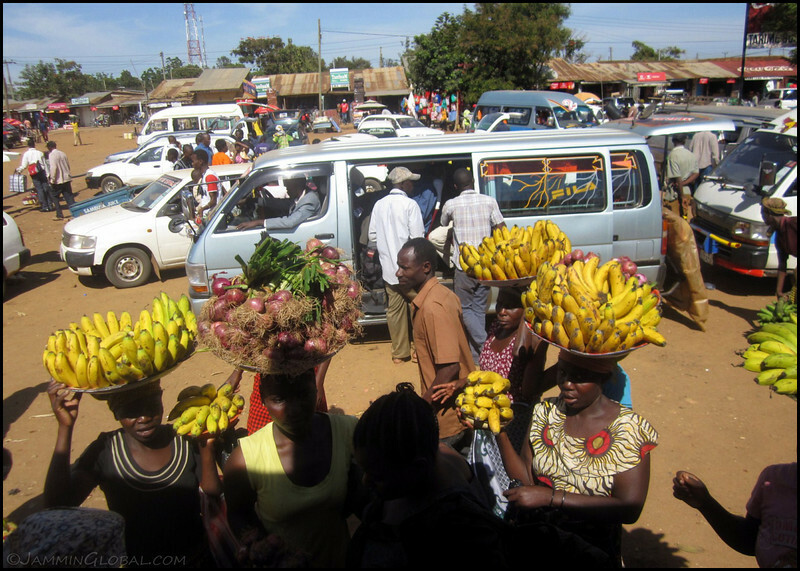 Bananas and onions for sale at the Tarime bus stand. 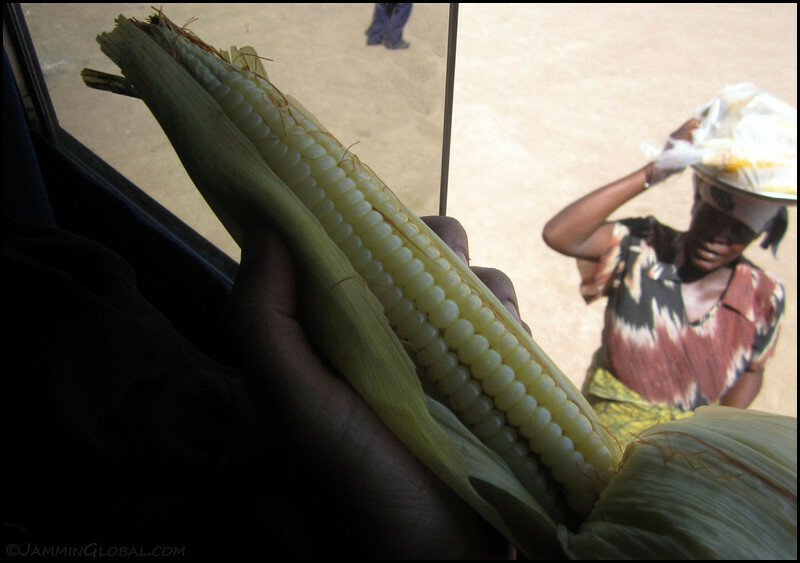 I got some boiled maize but it could’ve used some salt and chili powder. 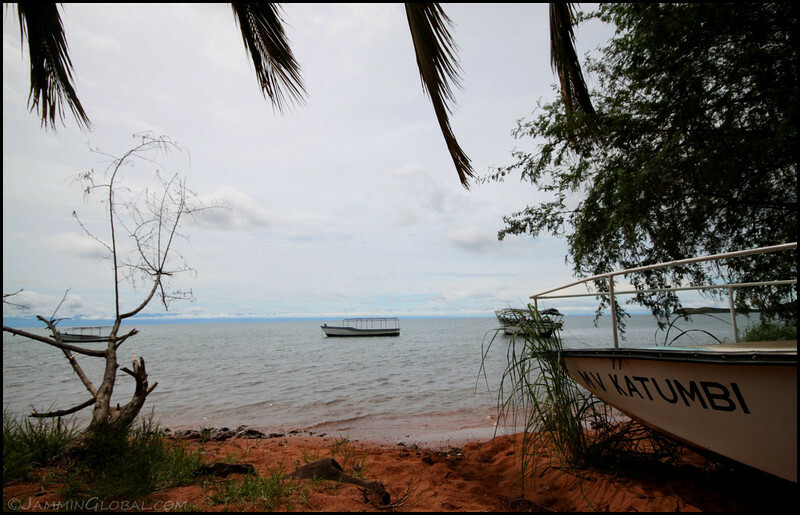 Nice scenery near the shores of Lake Victoria. I spent the bus journey listening to the audio book of Robert Pirsig’s Zen and the Art of Motorcycle Maintenance. I tried to read the book when I first got into motorcycles but most of it was over my head then except the part that it’s a richer experience when you work on your own motorcycle rather than having someone else do it for you. This time around, I could grasp much more of the story and its deep message. 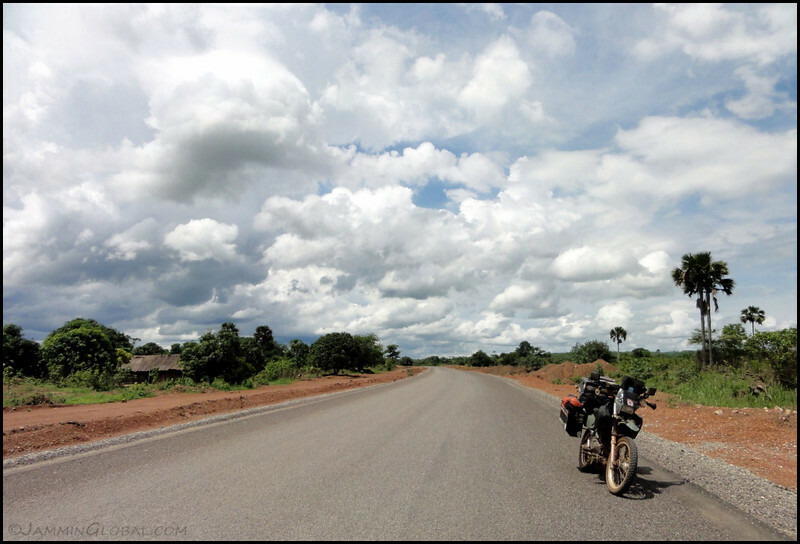 The story is about a motorcycle journey but it’s much more than that. It’s a defense for choosing a life strategy that has abundances of quality. And what exactly quality means is a long and deep part of the book. I get it but it’s hard to describe it in a few words. I think the book appeals to readers at various levels and I encourage you to get a copy and revisit this classic. Having a meal of chips maai and a cold Coke in Mwanza. 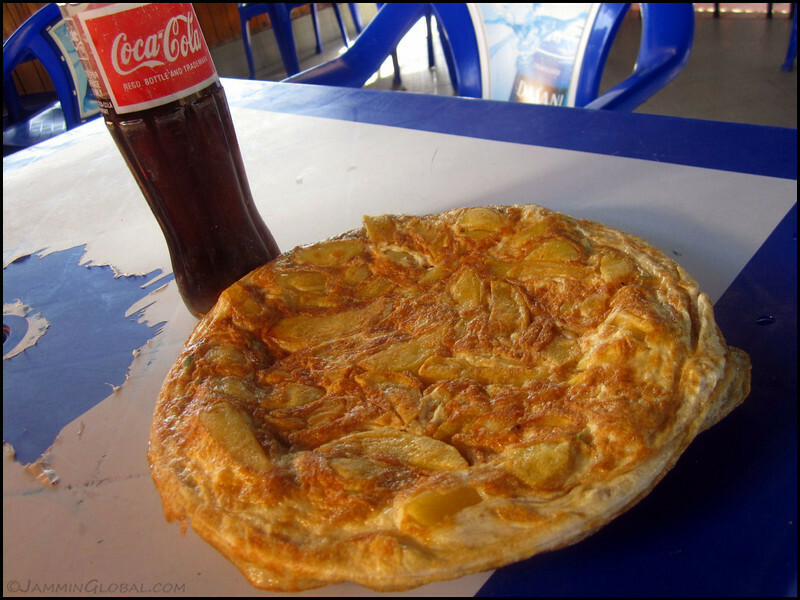 Maai is egg in Kiswahili and this is an omelet with french fries. Brilliant. 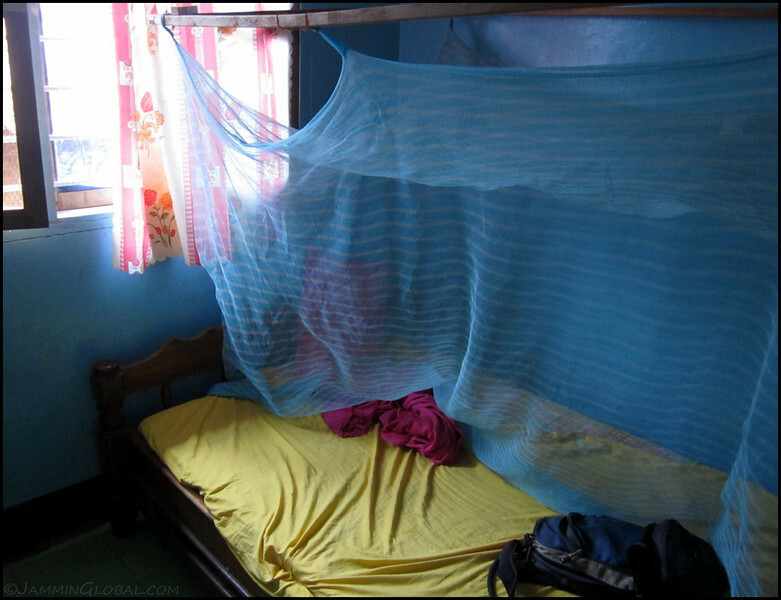 I slept a few hours in a dingy guest house next to the bus terminal and was woken up at 4 am to get ready for the last bus to Kibondo. 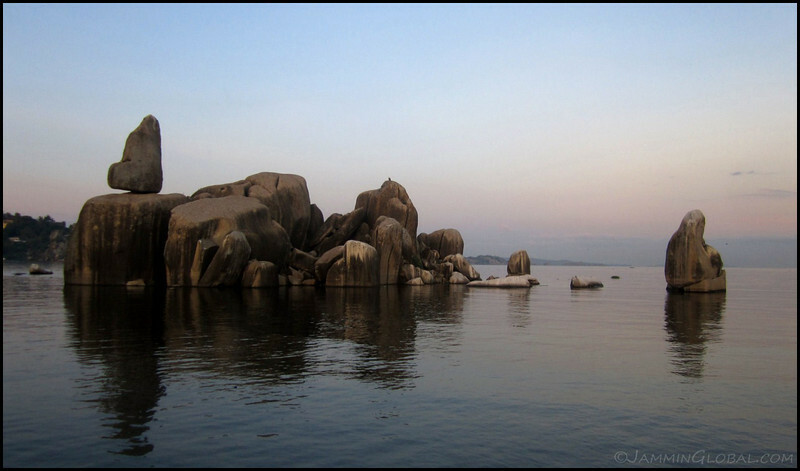 Mwanza sits on the southern shore of Lake Victoria and has these enigmatic rocks dotted along its shoreline. 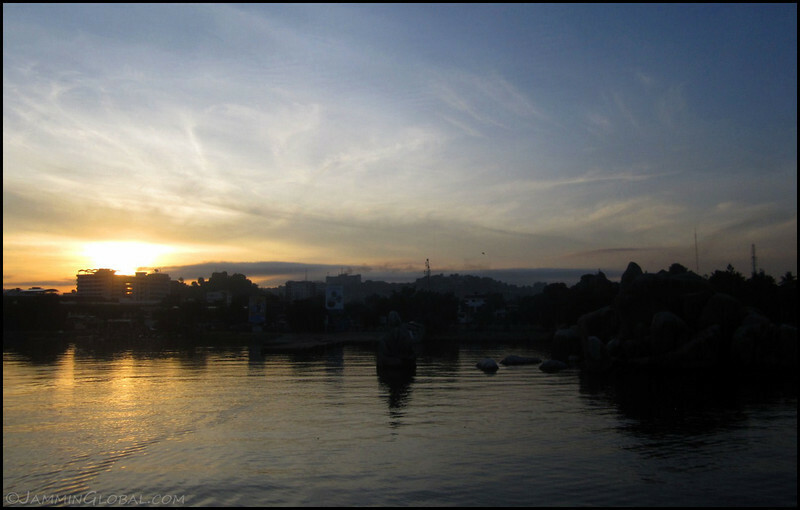 Leaving Mwanza just as the sun was rising. The sentinel rock leading our ferry out across the channel. 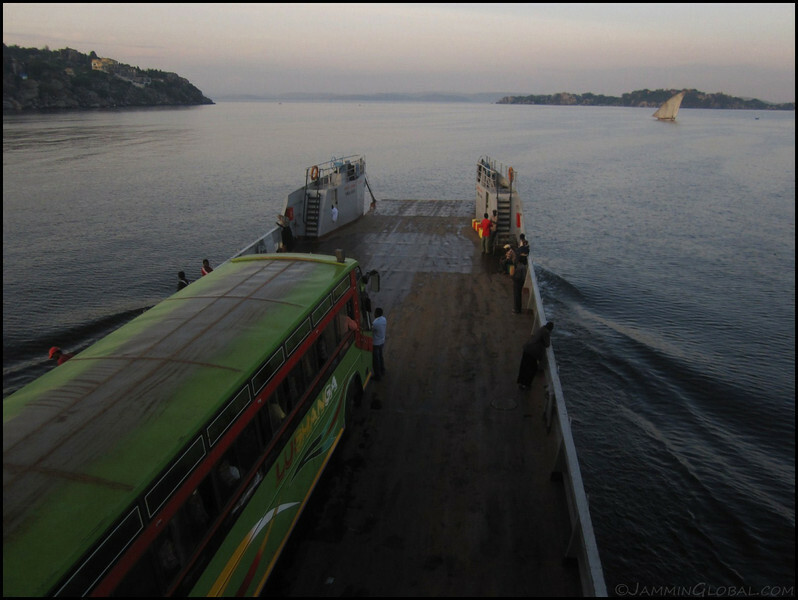 Our bus on the ferry across a channel of Lake Victoria. This prevented us having to make a big detour south around a lagoon. 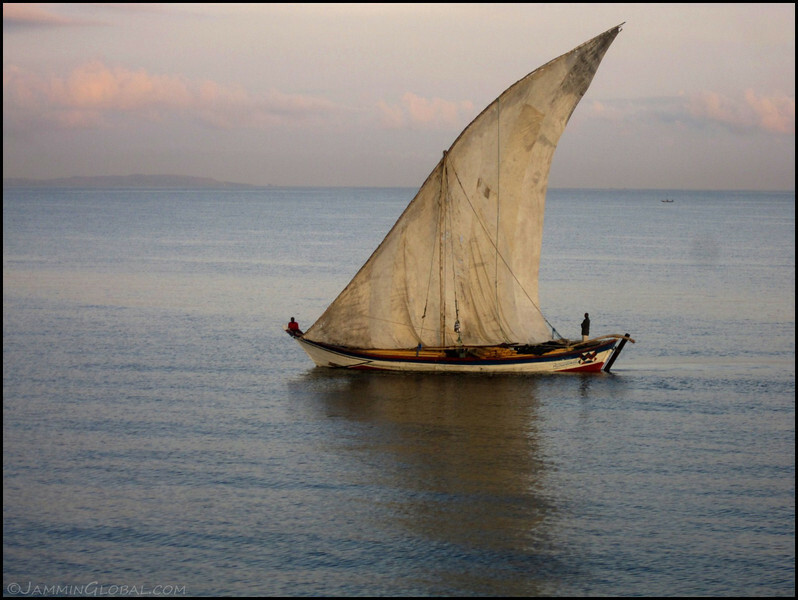 An old dhow heading out for the early morning catch. Sadly, the grand lake is being overfished and the stock numbers are dropping. The bus driver cooling down the engine, which resulted in lots of steam filling the already hot bus. Once the tar road ended, the journey became quite dusty and I realized that I’m more clean when I’m riding the bike than while taking public transport. 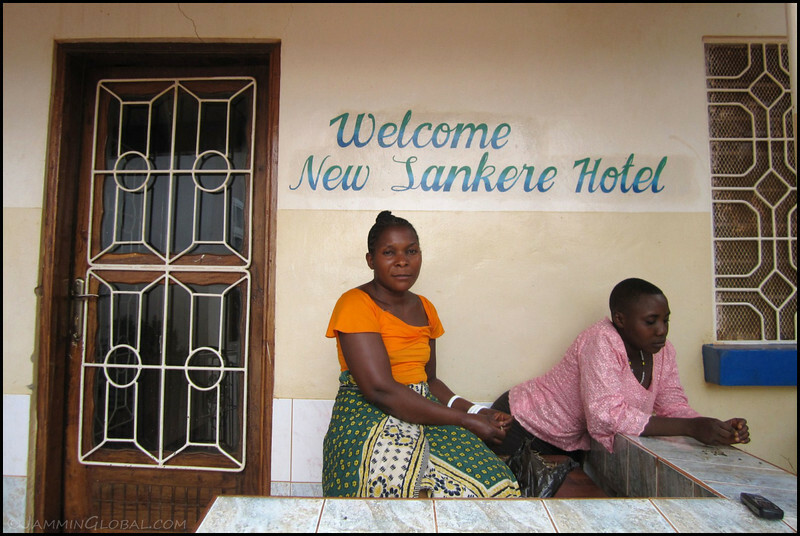 I arrived in Kibondo and rushed to the hotel and was thrilled to see that sanDRina was just where I had left her, patiently waiting for me. The new generator (stator) going back on with a new gasket. I got the uprated stator from Procycle, which puts out 250W compared to the stock 200W. I did a good 20 kms (12 mi) test ride and sanDRina was riding well. I figured the problem was solved, so let’s go. Thank you ladies for taking care of the bike. Back on the road, after more than two months! It felt wonderful and I was thankful the rainy season hadn’t kicked in, yet. 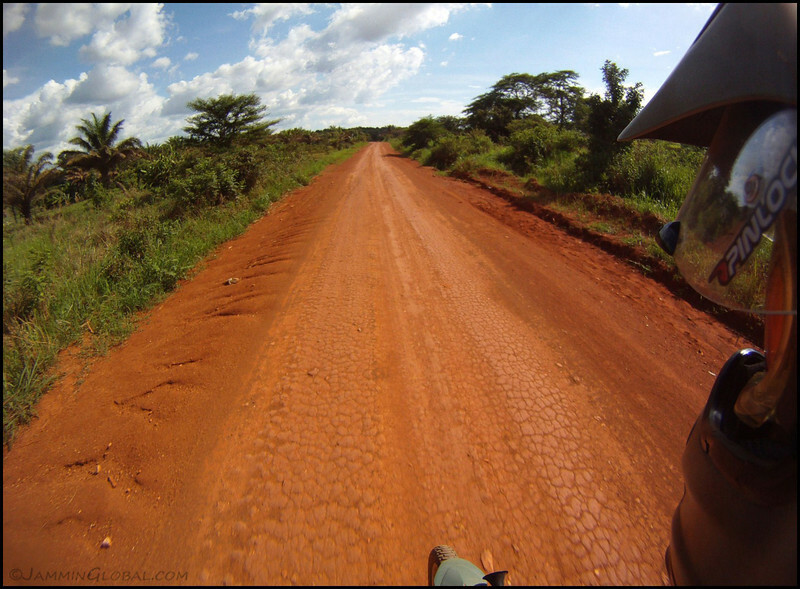 Enjoying some twisty tarmac on my down into Kigoma, a good 240 kms (150 mi) from Kibondo. Fear not, I’m a Professional African Urban Rider with a forte in splitting traffic. There’s a gap and I’m going for it. 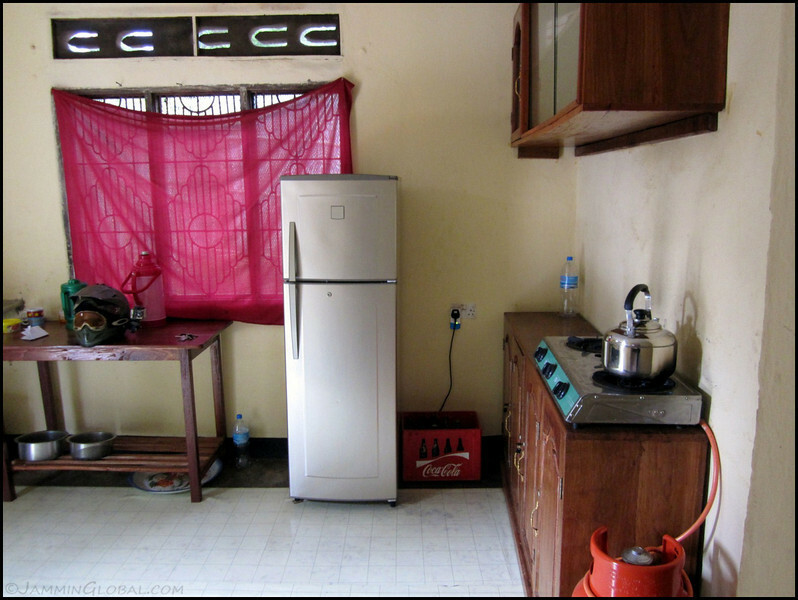 I stayed with Elias, here, through CouchSurfing in Kigoma. 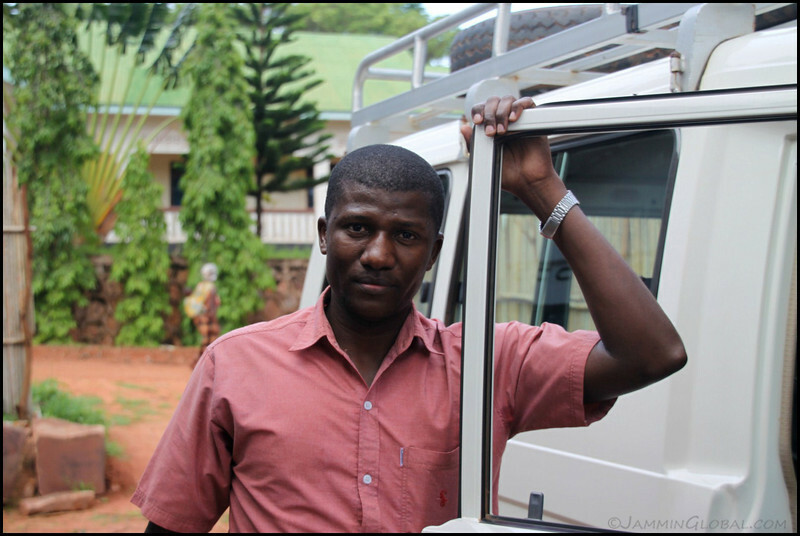 He’s from Dar-es-salaam but works here for the Jane Goodall Institute, who research chimpanzees at the Gombe Stream National Park. He was an accountant at the head office, so no chance to go visit the chimps. Elias was very hospitable and relaxed. 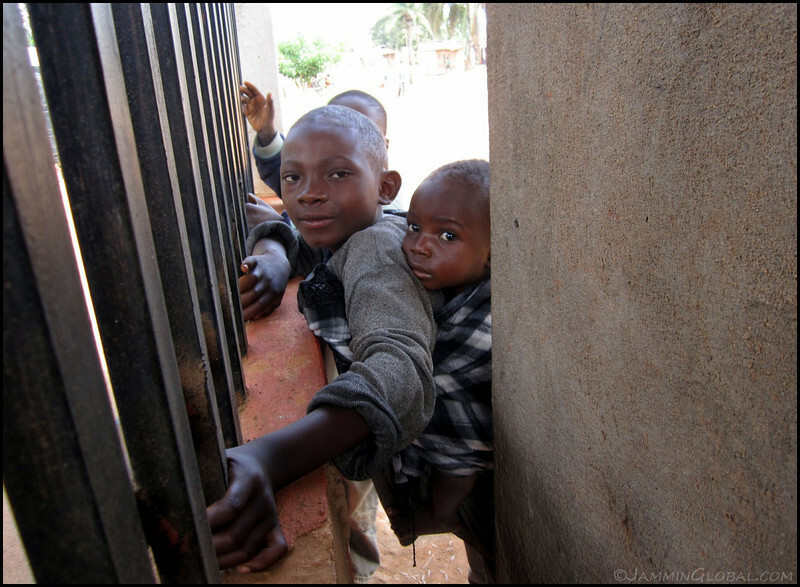 …with DR Congo on the other shore. 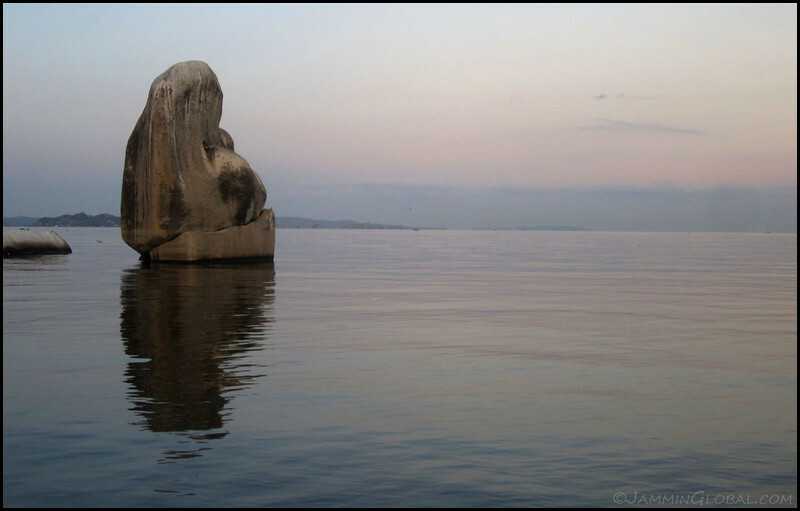 It’s a part of the Great Rift Valley Lakes and is the second deepest and second largest lake in the world, after Lake Baikal in Siberia. 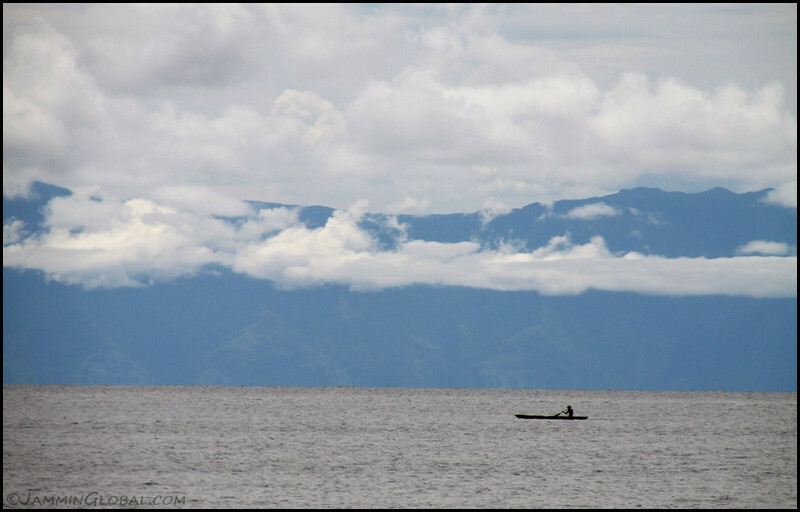 It takes the title of being the world’s longest lake at 676 kms (420 mi) extending all along the south-western edge of Tanzania. 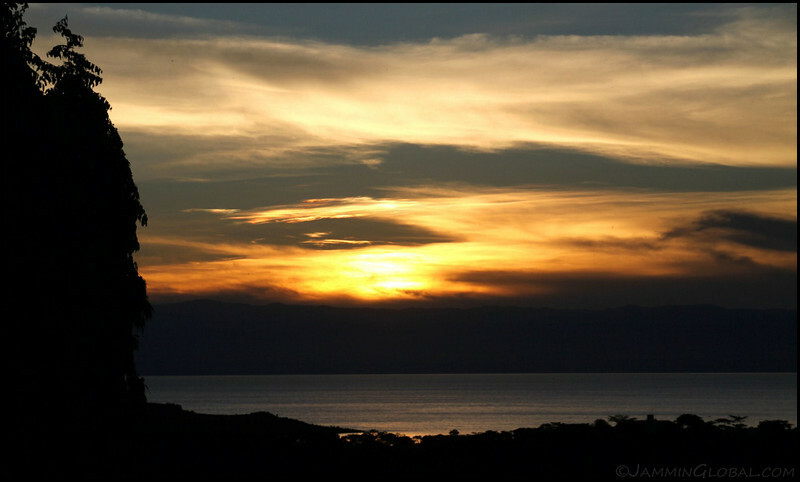 Enjoying a sunset over Lake Tanganyika. 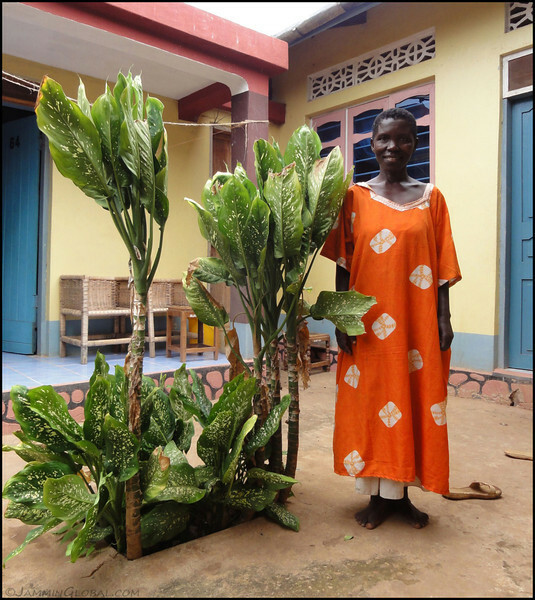 Elias had a very simple home as most of his income was being sent to his young family who still live in Dar. He’s lived and worked in the Middle East and is looking to get to the US at some point. 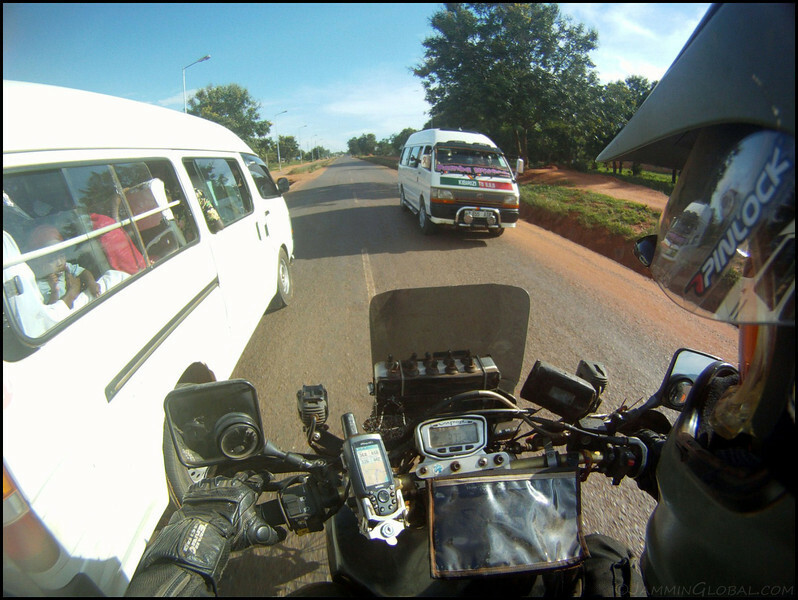 Filling up air on my way out of Kigoma. 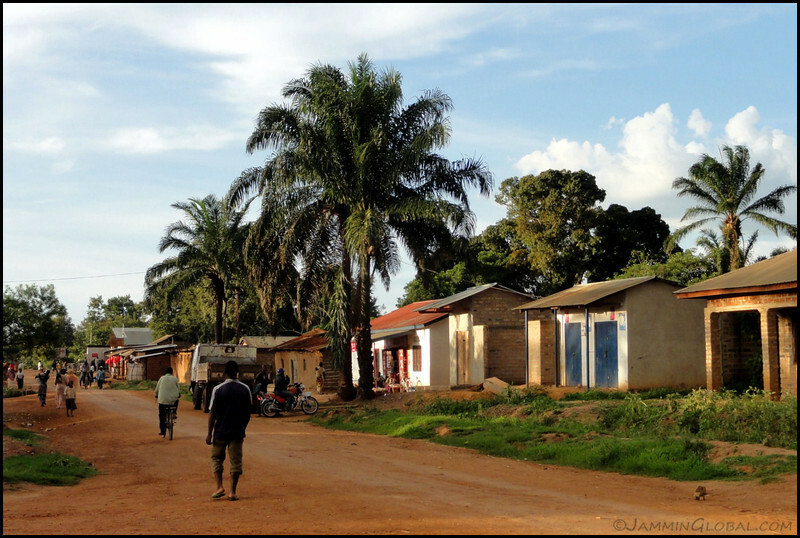 Kigoma is probably the most remote city in Tanzania but there’s new tar roads extending out from this outpost. 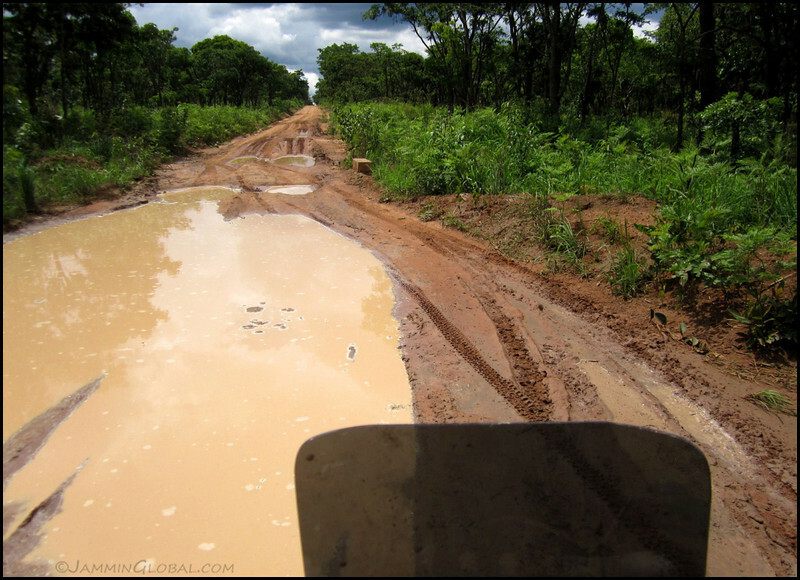 I got back on the mud roads and started heading south and then sanDRina stopped running. I had a sinking feeling that I hadn’t solved the issue with her. Once again, she would start up if I let her rest for a while. I went along like this for a bit with her dying every few minutes. 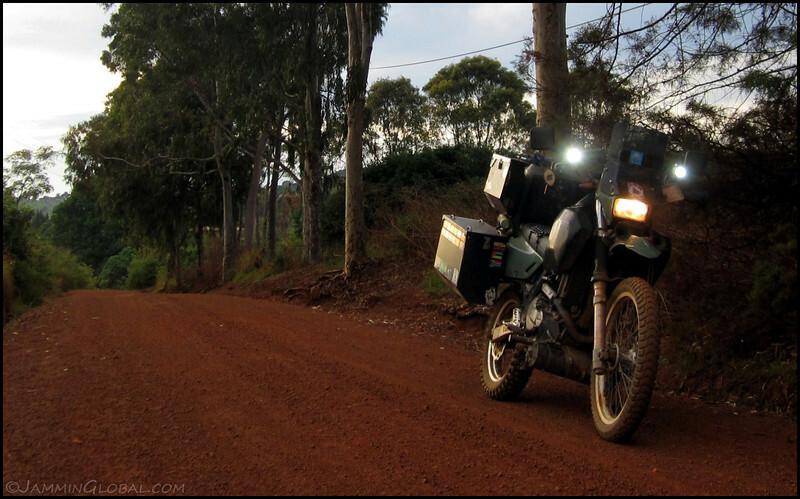 I had just left a small town and now it was 200 kms through the bush to the other side. Here, I replaced the spark plug and the ignition coil with a spare set and she ran for a bit more and then died again. 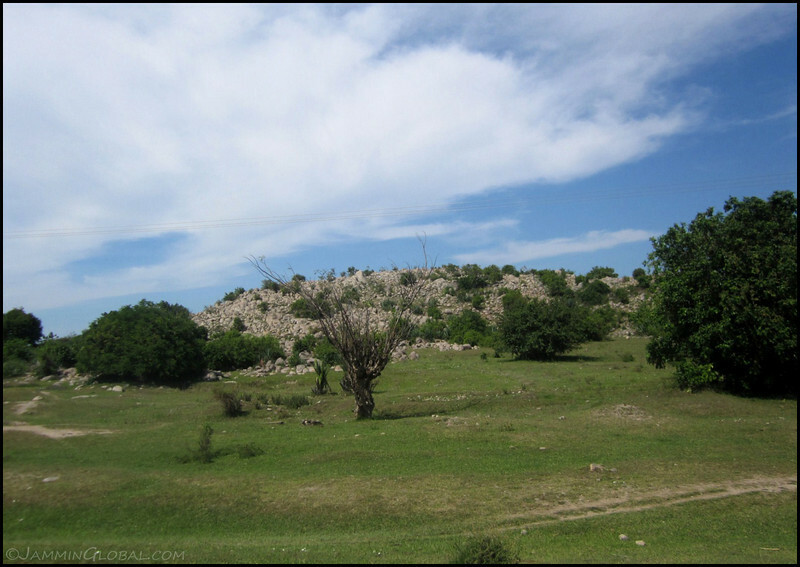 I made the call to turn around and return to the small town of Uvinza. 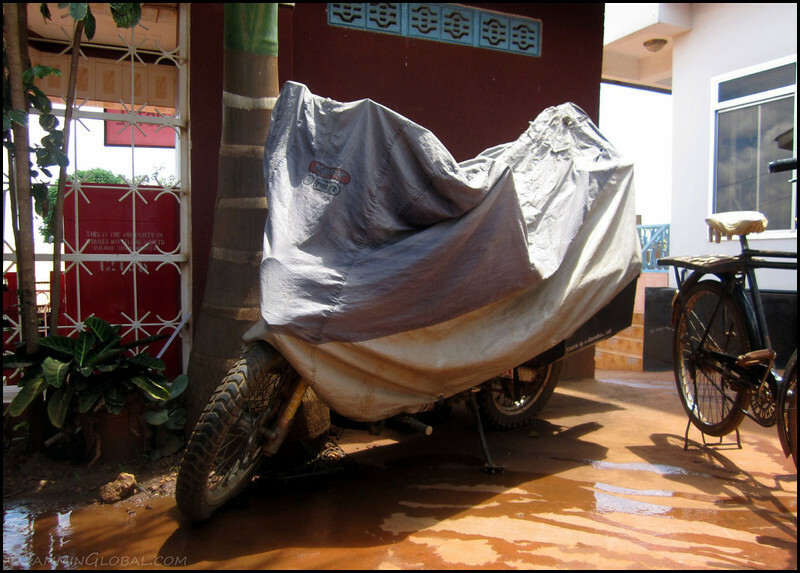 The rainy season was fully under way but it’s quite predictable here and only really rains in the afternoon. It was early afternoon by now and I could see the rain clouds coming. This was a tricky muddy section with lots of large potholes and I didn’t want sanDRina to stop while I was in the middle of a crossing. I waited for a good 20 minutes before going back over my tracks and she lasted for about 10 minutes before dying again. 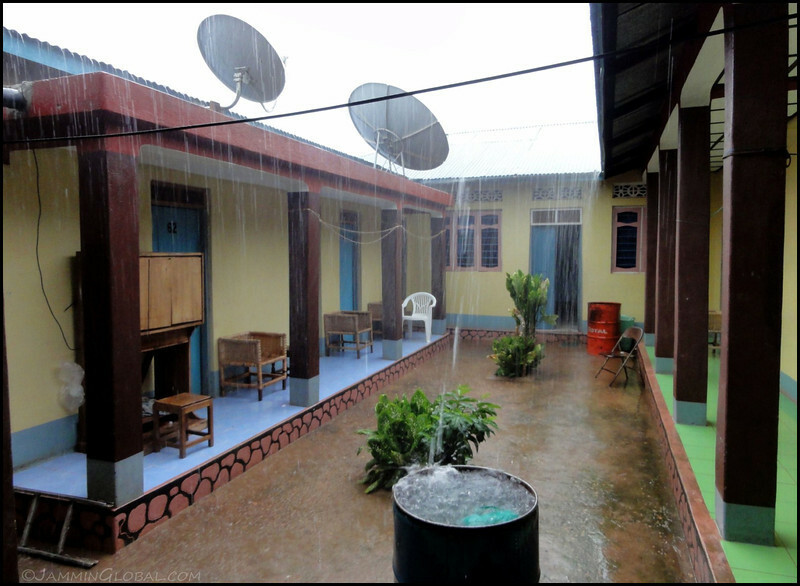 I hobbled back to Uvinza and got to a small hotel just as the skies opened up. sanDRina was looking sad and I was feeling terribly low. I didn’t know what else I could do. I thought I had tried everything I could think of. I figured it must be some sort of electrical short somewhere in the wiring harness and I was out of energy to strip the bike down and remove the entire harness to search for the short. I was ready to give up. I had lost my confidence in the bike. 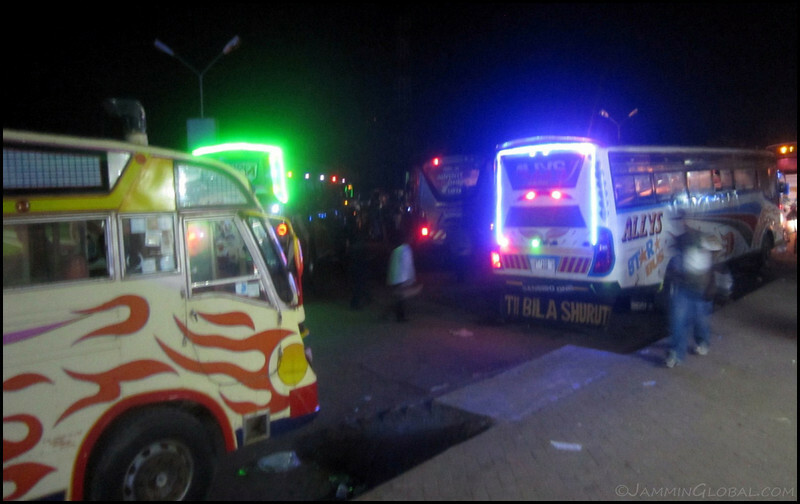 I figured it had been a good run up to now and I started making plans for getting back to Nairobi on a truck. It wasn’t easy and I spent a few days languishing in the doldrums, wondering if I was really ready to stop the journey now. I got on the internet and shared my plight with friends who’ve been following this journey. All of them kept encouraging me to continue and a few in particular were reminding me to check and recheck everything from the basics. If it wasn’t an electrical problem, then maybe it was something with the fuel. But I had checked the carburetor and all looked fine but I hadn’t really checked the petcocks in the tank or the fuel filter. Ok, I had a good nights sleep, had some oatmeal for breakfast and decided I wasn’t ready to give up just yet. The petcocks looked quite clean except for some crud on the bottom. This is the part that controls the flow of fuel from the tank into the fuel lines to the carb. I had an audience of young kids. Curious eyes peering through the grate. They were respectful and just watched and were happy to have their photo taken. 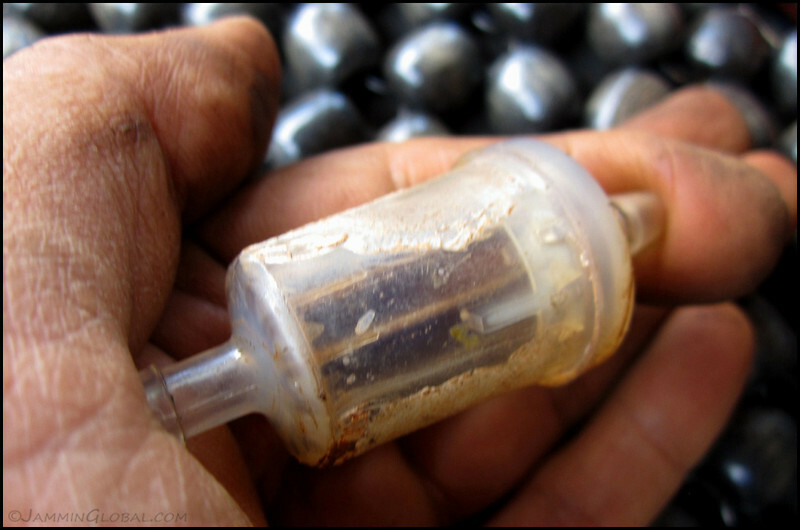 Ah ha, a dirty looking fuel filter. Hmmm, somehow I hadn’t checked the fuel filter all this time. 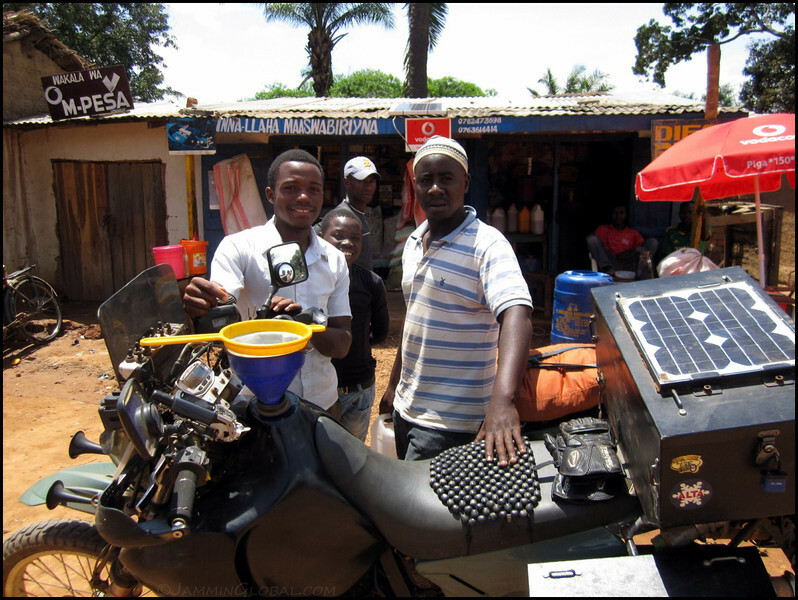 I had moved it to a new location on the bike during my rebuild in Nairobi and it was out of sight now, so it hadn’t come to mind. This filter has a paper core, which can easily get blocked if there’s been some water in the petrol as the paper swells and blocks the pores. Along with water, I guess I’ve been taking on some dirty fuel. 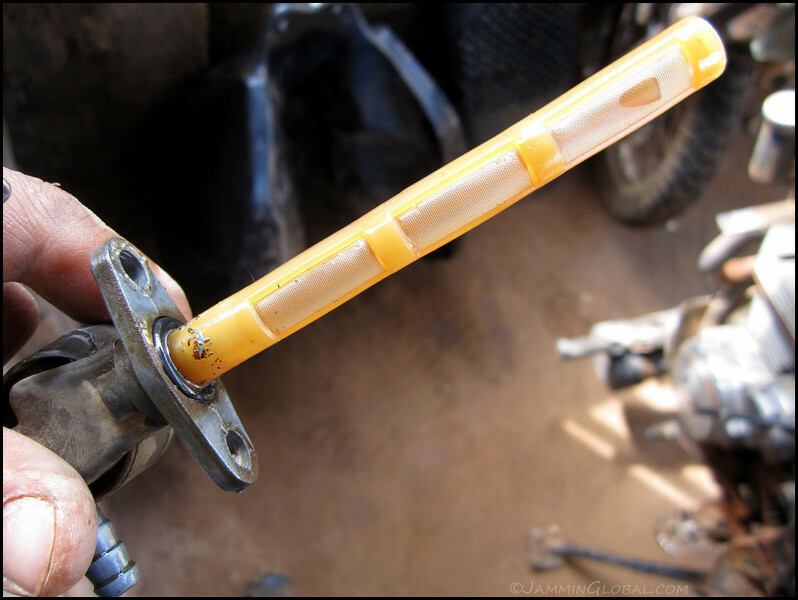 This little clogged filter was allowing the bike to run for a few minutes at a time until the sediments got into every pore and chocked the carb of fuel. 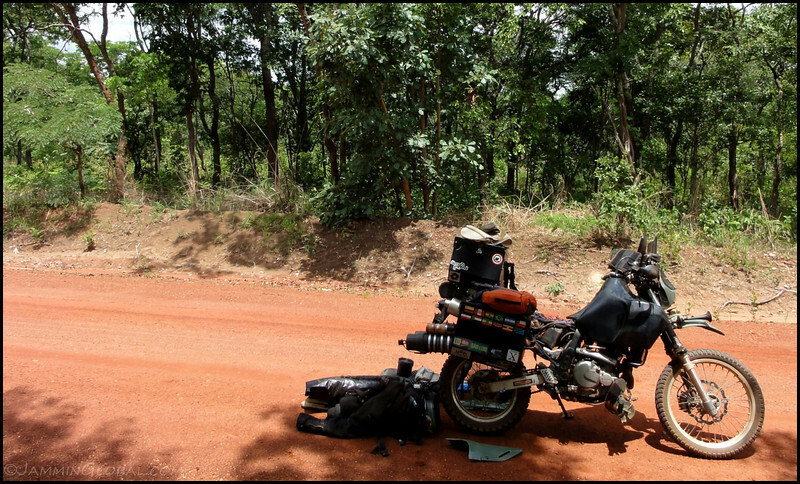 After resting for a few minutes, the sediments would settle and the bike would fire up again, until the sediments went and choked the remaining pores in the filter. That was it. I put in a new copper core filter and sanDRina fired up and sounded great. The kids sensed my joy and got up for a closer look as sanDRina thumped to life. I was ecstatic. I knew now that it was the fuel filter all along. My first hunch of this issue being fuel-related was correct but I had stopped my diagnosis at the carb and didn’t inspect the entire fuel system. My bad, but who cares, I had found the culprit! I went for a 60 kms (37 mi) test ride and she sounded fantastic, revving through all the gears. 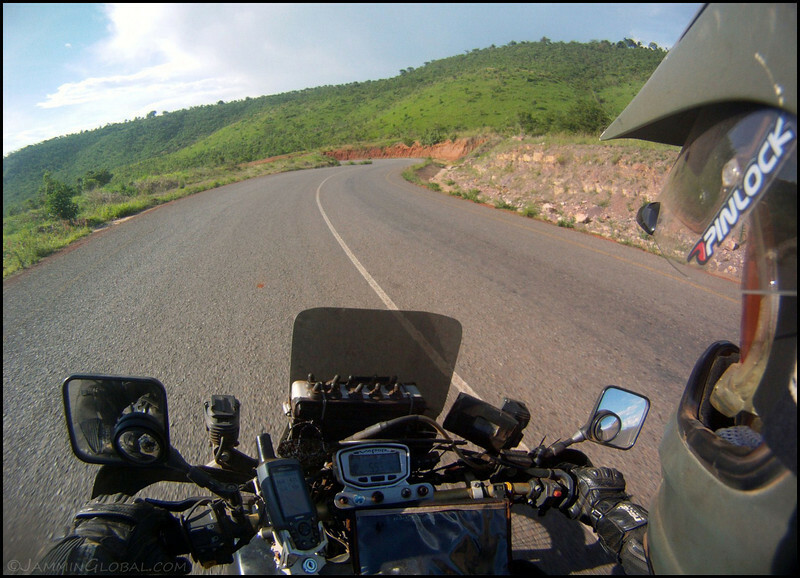 The successful test ride welled up a great new energy in me and I knew I could carry on now and finish riding through Africa. I wasn’t ready to give up and I just needed a little extra push to keep searching for the issue and voila, now I had surmounted the gremlins. 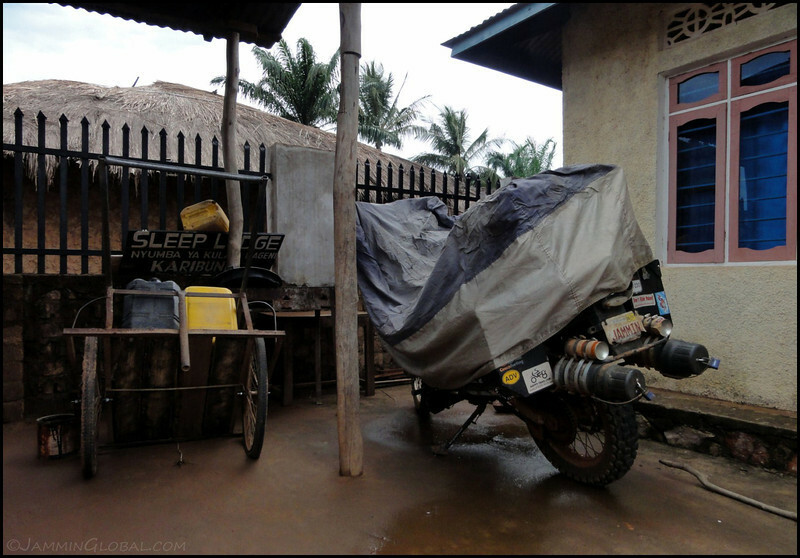 I fueled up once again from jerry cans, as there was no other option, but I wasn’t worried now. A copper core filter has finer pores for sediment but it wont clog up if there’s water in the fuel. 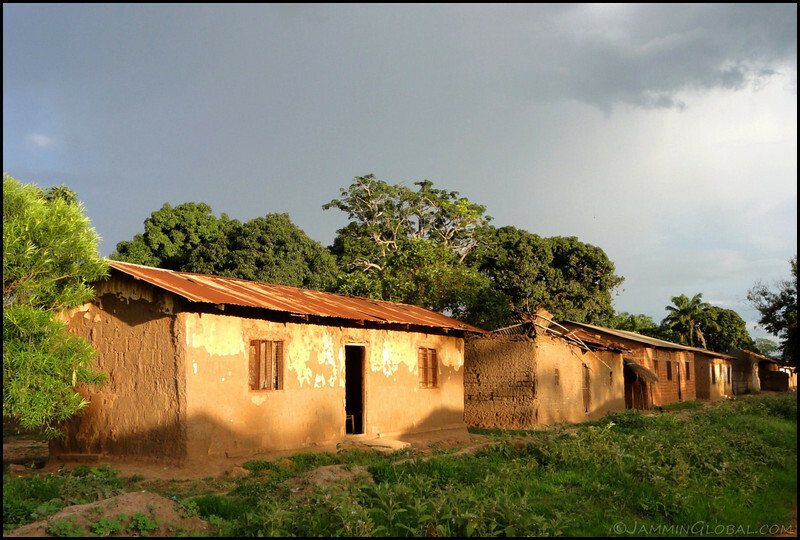 My spirits were up again and after taking my head away from bike maintenance, I could see the beautiful little village of Uvinza. Storms were coming through every afternoon. 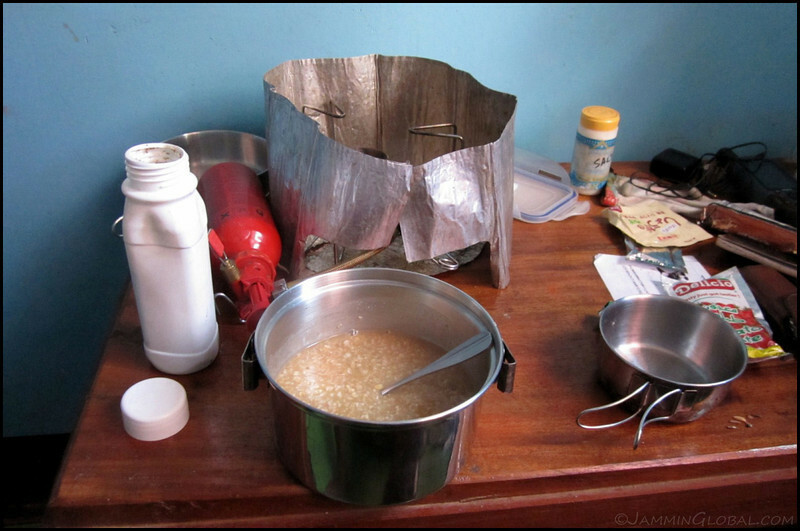 A little old lady who sold me some rice as I restocked my supplies. 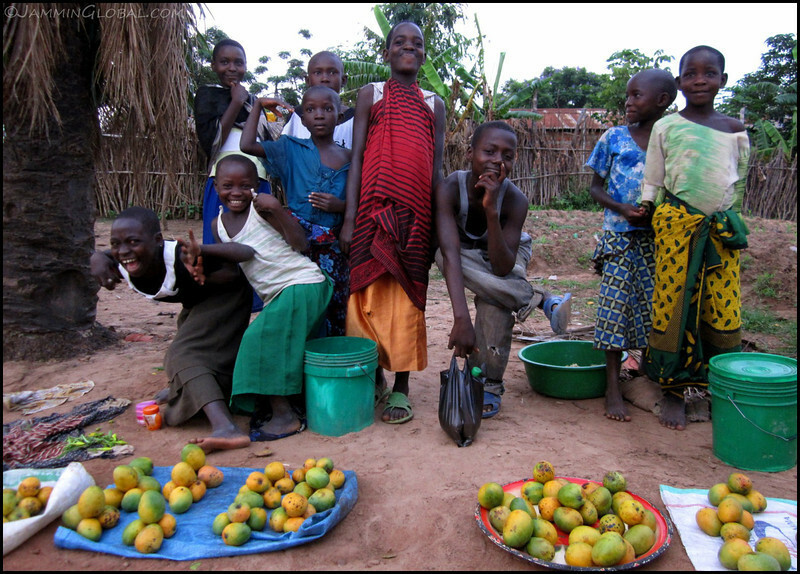 Crazy Tanzanian kids selling mangoes. They were all so shy at first but after I showed them photos of themselves, they went biserk and started making the funniest poses. 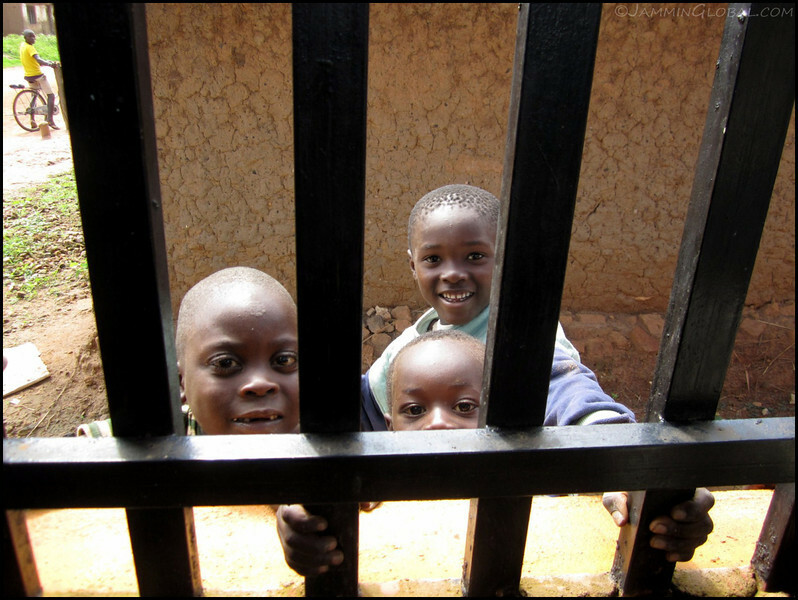 Their joy reminded me of why I’m here in Africa. It’s not to complain and whine about bike problems, it’s to see and experience this amazing continent, which I was now ready to do. My room at the Sleep Lodge in Uvinza where I tossed and turned with the decision of whether to quit and throw in the towel now or keep searching for the issue. I’m glad I could muster the energy to do the latter and win this mental battle. 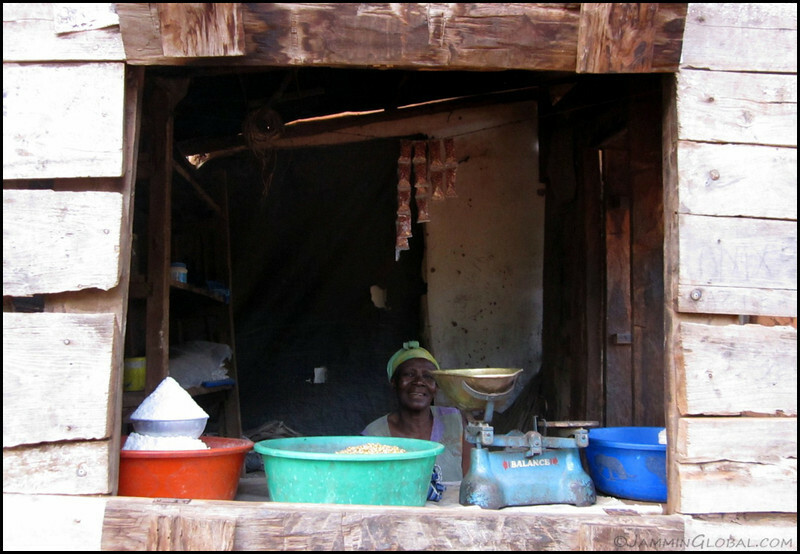 The mama at the Sleep Lodge who’s smile reminded me of the life-affirming experience that I was having. 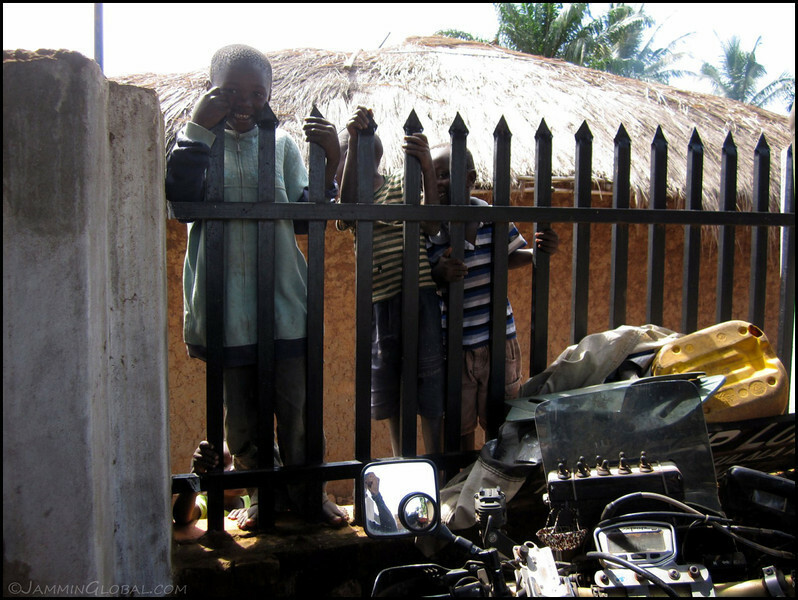 The motorcycle is a machine and it only fails if its operator has neglected to maintain it or if it wasn’t manufactured properly. 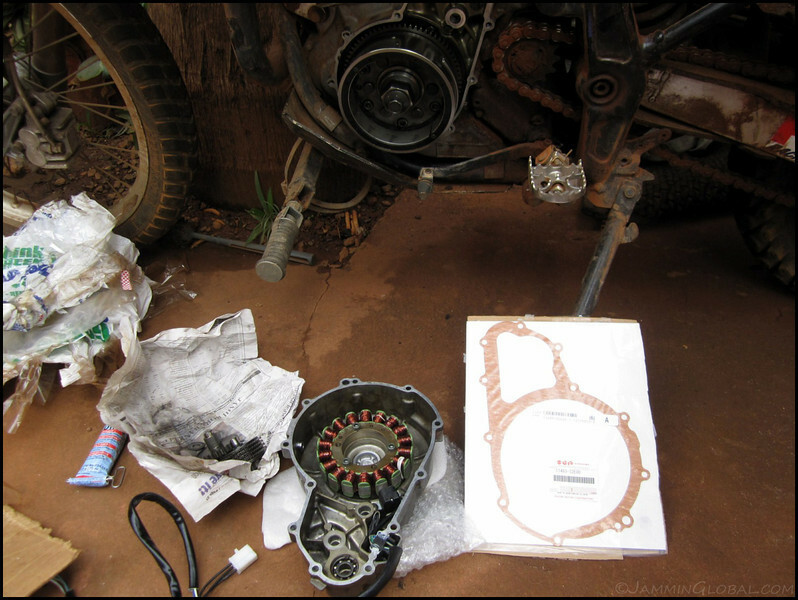 Listening to Zen and the Art of Motorcycle Maintenance reminded me to stop paying attention to the weak emotions of hopelessness when dealing with a frustrating problem and to simply tackle it rationally. Once the issue was solved, then I could let my positive emotions of achievement and success flood my brain and bring me back into this journey.